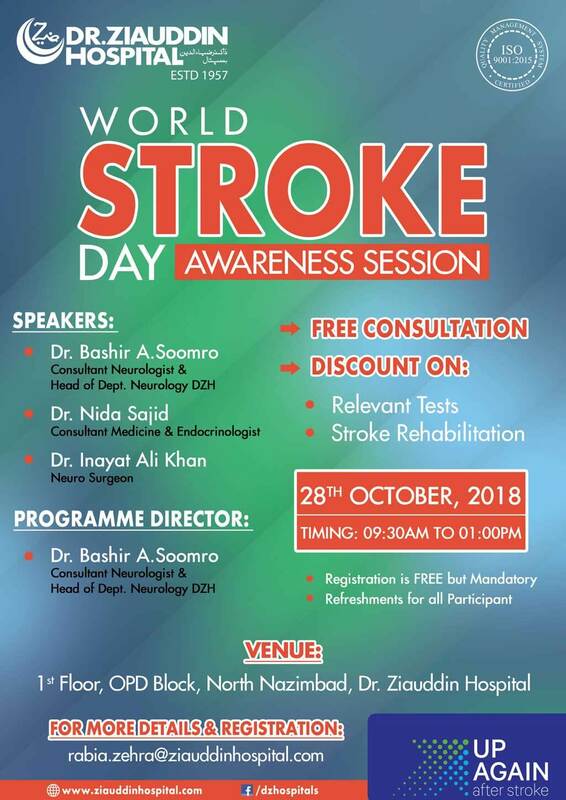 Dr. Ziauddin Hospital is hosting a World Stroke Day Awareness Session on the 28th of October 2018. Registration is FREE but mandatory to attend the session. We will have three influential speakers speaking in the session. The venue for the event is Dr. Ziauddin Hospital, 1st Floor, OPD Block, North Nazimabad.